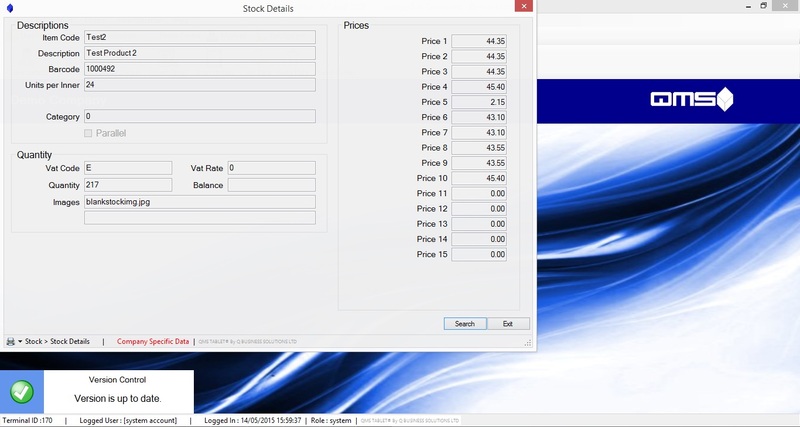 The Tablet Ordering System provides a compact and easy to use software platform providing offsite functionality for stock ordering. 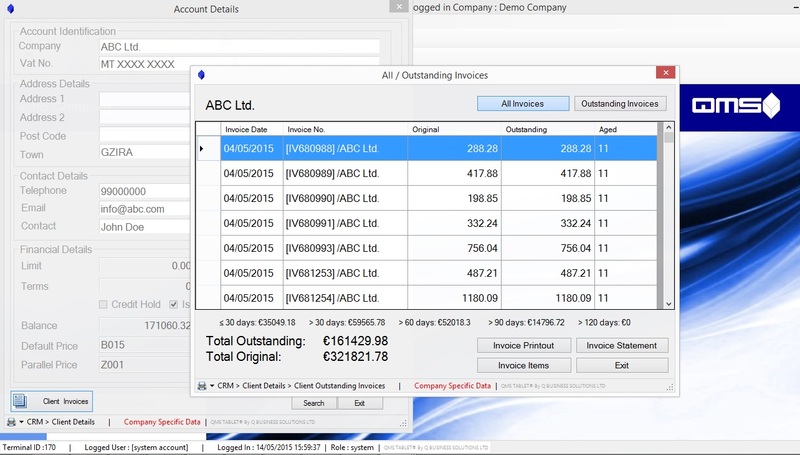 The system integrates with QMS suite to retrieve up to date information concerning stock levels and pricing, client financial records, statements and invoice history. 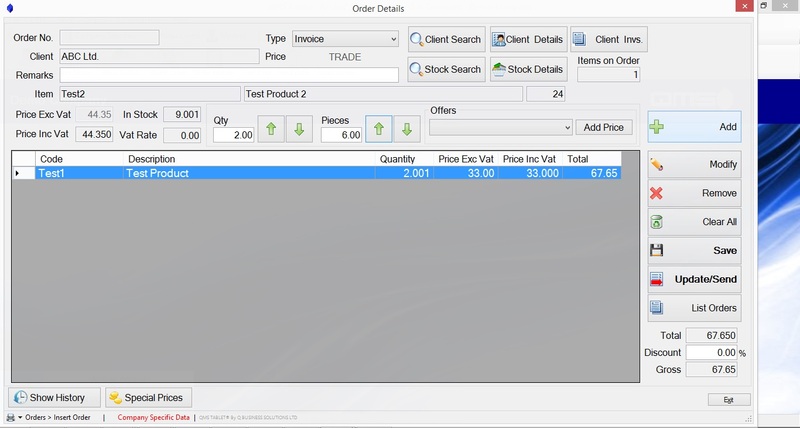 Inputted orders can be transferred to head office on the spot, allowing the immediate processing of orders. 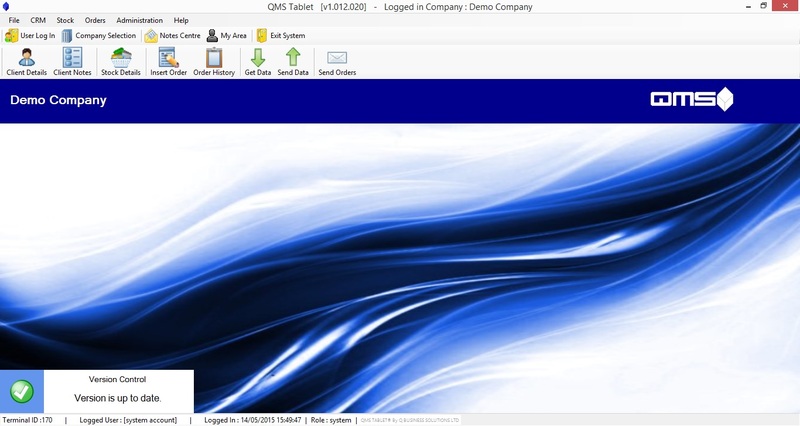 The Tablet Ordering system also provides a graphical catalogue tool that can be used in tandem with the ordering functionality. Emailing of statements and historical invoices is also possible providing sales personal with the required tools to give an all-round service to their clients.